When sending any type of API request, JSON is typically the delivery method of choice for most Alexa skills. JSON is a way to send information back and forth between two computers easily. While JSON might look intimidating at first glance, it's actually meant to be human readable first and foremost so with a little bit of practice, we should be able to work with it easily. 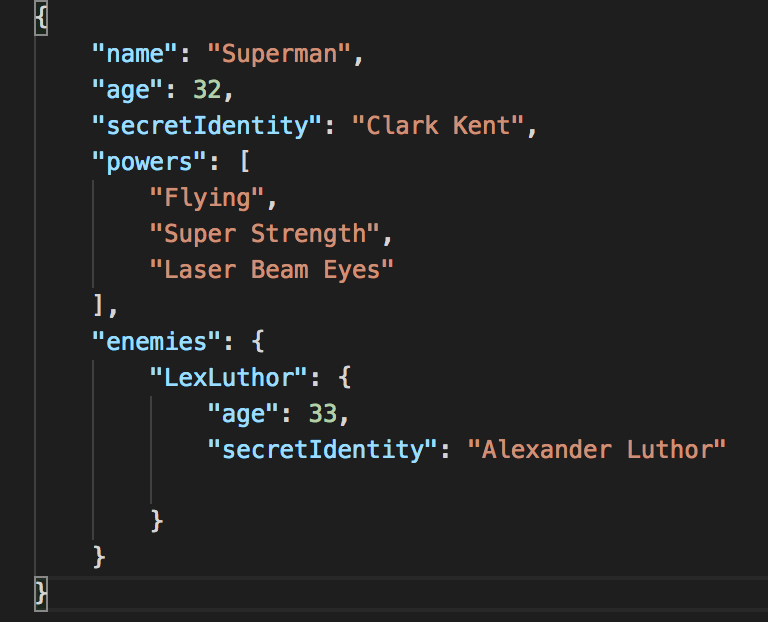 In the above example JSON, we have some information about a super hero. This instance is focused on Superman. 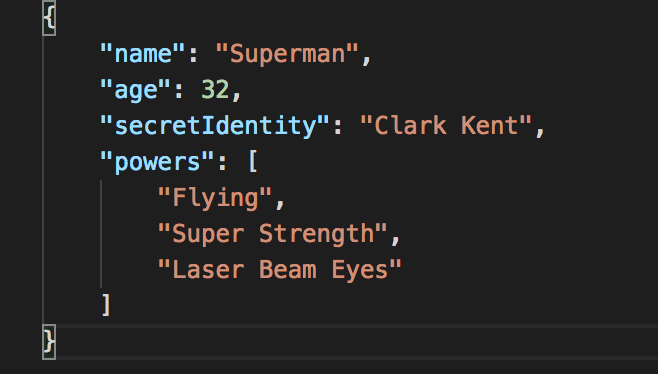 If we were to store this in a variable in Voiceflow, the variable would hold the value "Superman". Will give us the value "32" when stored in a variable. Where things might get a little bit tricky though is when we face an Array inside of a JSON. This is simply another way to group data together. This would return the value "Flying" if we were to store it in a variable in Voiceflow. Notice how the first item in the array corresponds to the number 0 and not the number 1. This is something that we need to keep in mind working with arrays. We always need to start counting from 0 and not from 1. This command would return the value "Laser Beam Eyes" from the array. 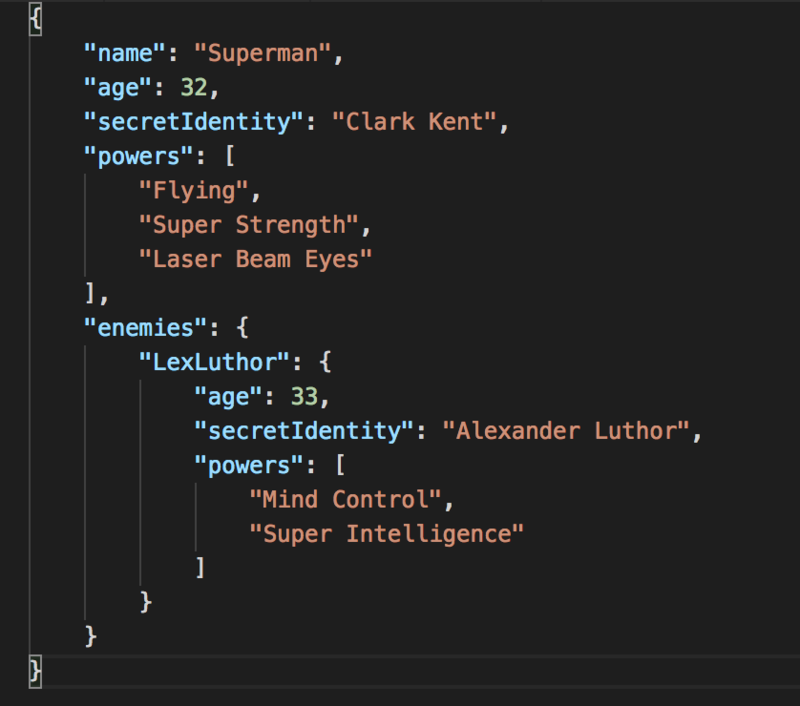 The enemies attribute adds a nested JSON object which contains an enemy called Lex Luthor. This would return us the value 33. As we in the above command, reaching into nested portions of our JSON is as simple as chaining the attribute we want to the end of our command. This command will return us the value "Mind Control".